Photo courtesy of iFLY Chicago Try skydiving without having to jump out of a plane at iFLY Chicago. When wind chills are below zero and snow is piling up, walking around Chicago isn’t fun – especially with kids. 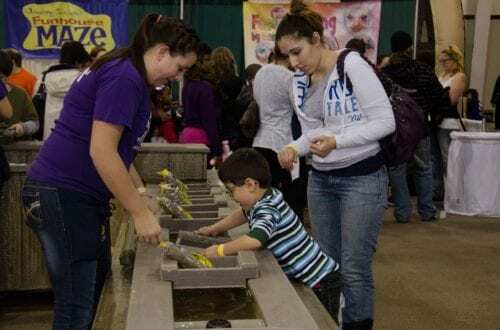 Fortunately, there are plenty of fun things for families to do indoors. So go outside and take a quick selfie in front of “The Bean” or a quick loop around Maggie Daley Park’s ice skating ribbon, and then head to these warm inside places where you can shed your coats, hats and boots and have some indoor family fun. This giant indoor fest features all sorts of hands-on indoor activities. As a lifelong Chicagoan, even I find winter hard to take some days. Strolling through Millennium Park, shopping on the Magnificent Mile, or even waiting on an L platform can leave you feeling chilled to the bone. If you find you’re in Chicago, Illinois, on one of those bad weather days this winter, grab the kids and try one of these activities. Kids complaining they’re bored? They won’t be at Chicago Family Palooza, an annual fest in the western suburb of St. Charles (about a 1-hour drive or train ride from Chicago). 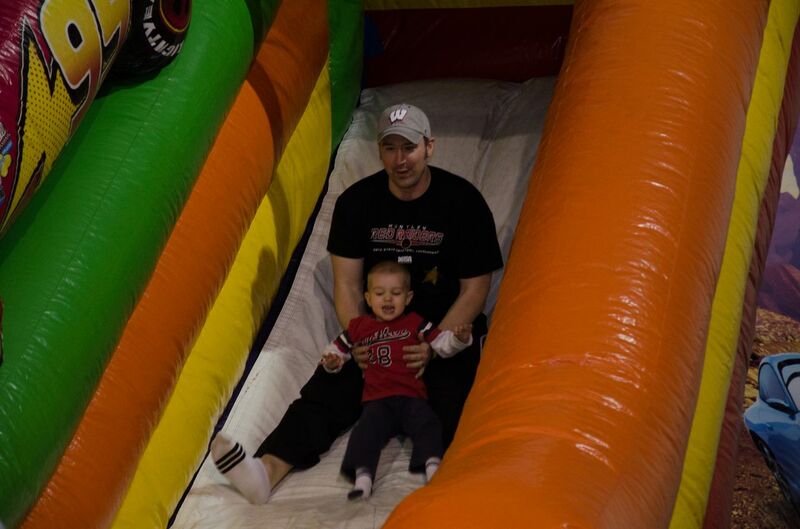 It’s packed with activities, including indoor train rides, a petting zoo, carnival games, inflatable slides, and much more. This critically acclaimed play is written by kids, performed by adults, and created for an audience of both. Located on Chicago’s north side, it’s a great example of the creative, artistic improv comedy theater that Chicago is known for. During January and February, admission is free (or discounted) at most of Chicago’s popular, world-class museums. Some of the free admission special apply only to Illinois residents, but some are for all visitors. The list includes the Chicago Children’s Museum, the Art Institute of Chicago, and the DuSable Museum of African American History. See each museum’s website for details. 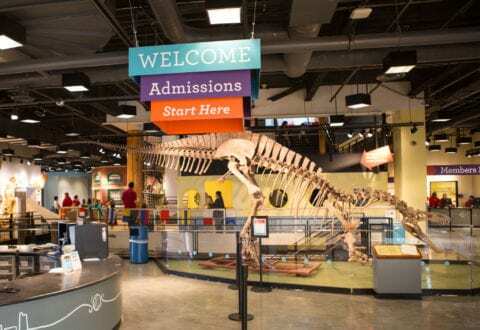 Free admission days are available at the Chicago Children’s Museum. This is a really popular activity with suburban families right now. 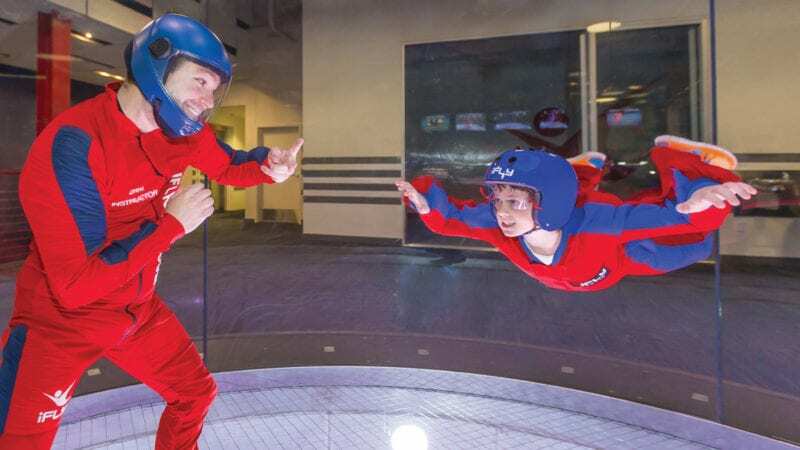 Parents and kids can try indoor sky diving without having to jump out of a plane at iFLY Chicago. Wearing a uniform, helmet and goggles, you float safely through an enclosed area. You even get a video of your experience which you can share on social media. Discounted tickets are available at Costco, and there are sometimes Groupons. So check for deals. Also – this is important – you need to make a reservation in advance. Weekends book up quickly. 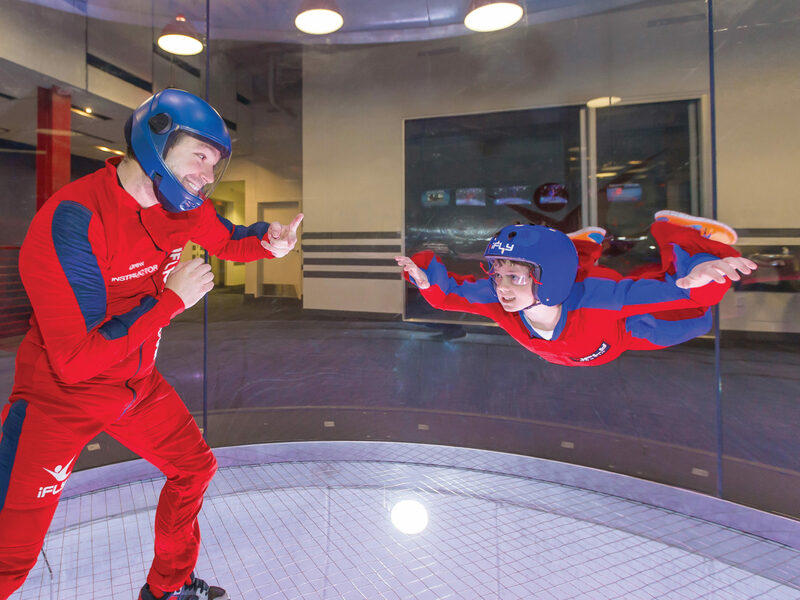 Try skydiving without having to jump out of a plane at iFLY Chicago. Want to sightsee in Chicago, but it’s too cold for walking or boating tours? Consider “The Pedway Tour” by a new tour group, Chicago Elevated. It’s all indoors, and mostly underground. They also have a special winter tour, where you’re given high-tech heated coats to wear as you walk outside by Maggie Daley Park’s skating ribbon and the lakefront. Chicago is a serious hockey town (um, hello Stanley Cup champion Blackhawks?). But getting Blackhawks tickets can be tough, and it’s an expensive outing for a family. An affordable, fun, and family-friendly option is to see the Chicago Wolves play at the Allstate Arena. 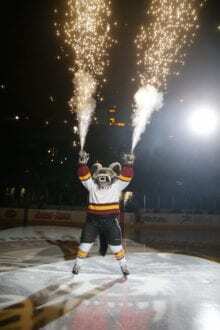 My kids love the pyrotechnic show to start the game, and all of the entertainment between periods. Plus, they’re a great team! 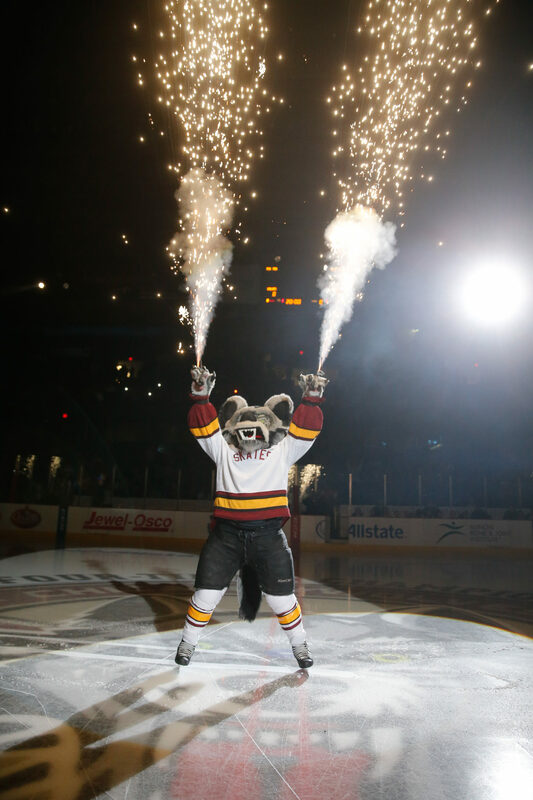 Skates, the mascot of the Chicago Wolves, lights up the pre-game show. 3…2…1…tilt! 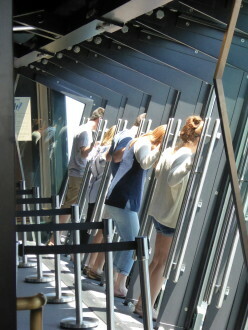 That’s what they say when “Tilt” begins, a new thrill experience on top of Chicago’s iconic John Hancock building. You stand in an all-glass box that literally tilts out over the side of the building. Afterward, you can enjoy the 360-degree views from the floor-to-ceiling windows. 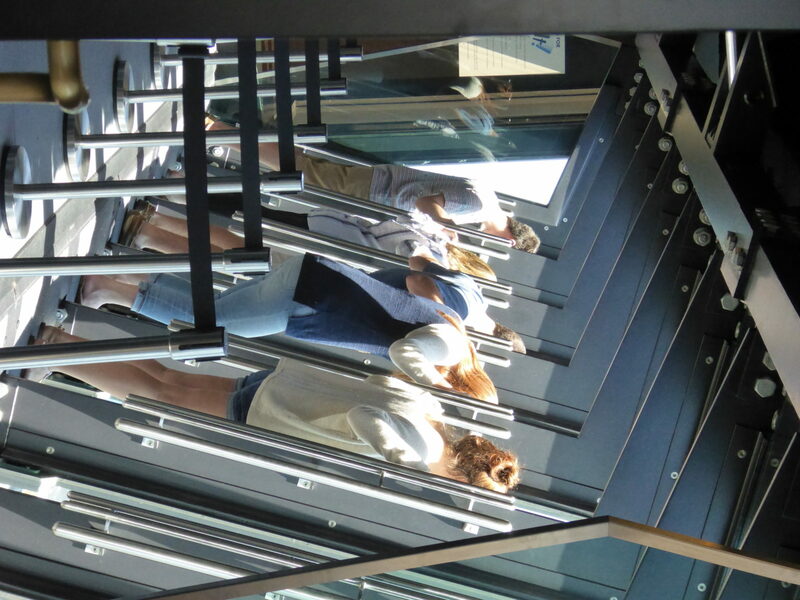 Another fun top-of-the-skyscraper activity is the Willis Tower Ledge, where you walk out onto a glass box 103-feet above Chicago. It’s one of the most popular Chicago photo-ops. Hold on to the bars and tilt over the top of Chicago’s John Hancock skyscraper. Conjunction junction, what’s your function? Emerald City Theatre stages “Schoolhouse Rock Live!” a who based on the beloved educational TV series, including its popular songs. Runs Feb. 26-June 5 at the Apollo Theater. It’s a small museum, but if you’re in the Water Tower Place mall and need a shopping break, it’s a fun stop for families. 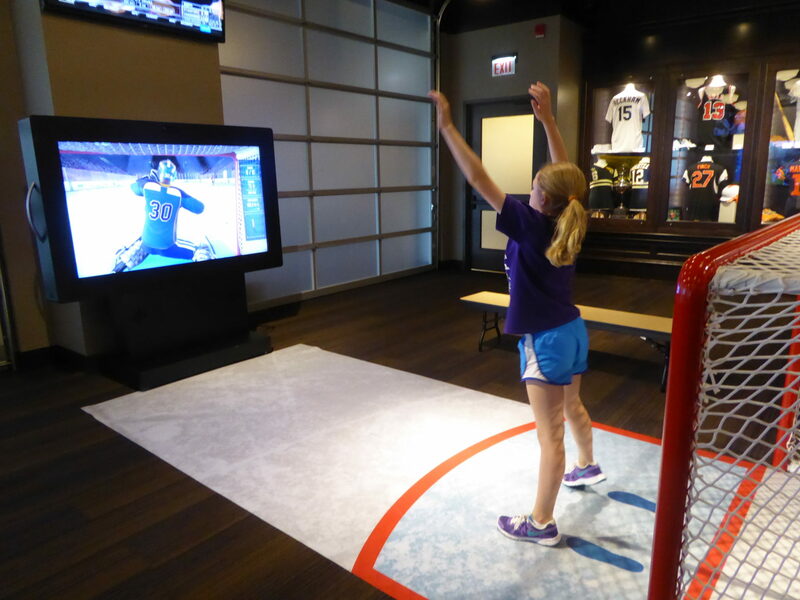 It’s packed with Chicago sports memorabilia and interactive sports games. If you eat at the adjacent Harry Caray’s restaurant beforehand, everyone’s admission is free. It’s one of several fun things to do in and around Water Tower Place. Read my other suggestions here. Sports memorabilia and interactive video games fill the Chicago Sports Museum in Water Tower Place. Midwest TravelingMom Andrea Guthman raves about For the Win, a new upscale arcade in downtown Chicago that is a winner for indoor family fun. And what kids don’t like video games? 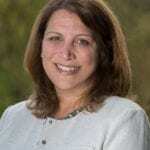 Read her review here. Key Lime Cove in Gurnee, Ill.
A smaller, manageable and fun indoor water park in the far north suburbs, it’s unique feature is a kids spa. That’s a fun post-water park activity for young girls. They can have facials, mani-pedis, or makeup application. Read my review of it here.